With Minnesota temperatures still pretty scary, it is possible that a new design for your garden is the last thing on your mind right now. But spring is right around the corner, which means that heavy rain is right around the corner as well. Here now are a few ideas that are particularly helpful for those interested in cultivating a rain garden. Many local communities are now using rain gardens as a part of an overall storm water management program. But they work well for Minnesota homeowners who have water issues on their own properties. If you’re not entirely in the loop on the new trend of rain gardens, here’s some basic information to get you up to speed. In a nutshell, rain garden plants differ from most plants in that they are able to endure a great deal of moisture with no danger of rotting. The main aspect that distinguishes a rain garden from an ordinary garden is that a rain garden monitors the water it receives. For this reason rain garden plants are typically grown in locations where water can accumulate without stagnating. 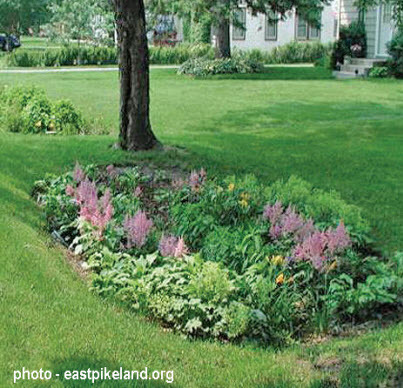 Native vegetation is generally recommended as rain garden plants. Native plants tend to be more worry-free. In addition they have good root systems which means they do a better job of using available nutrients than non-native plants. Also they require no additional water and very little fertilization. In terms of cleaning and pruning, it is usually the case that they can be dealt with once a year. If you find yourself seeking the help of a Minneapolis landscape contractor perhaps because you’re dealing with the very common problem of wet areas in your garden, our professional landscape designers would be more than happy to provide helpful service with the appropriate solutions with grading and excavation. Get in touch with us today!